I'm nearing the end of my vacation so we jammed a lot of activities into the day. My kids are happier because they don't return to school until next Wednesday. It's been a great week and there's still another day left before I have to head back to the office. After yesterday's moderate workout at the park I decided to only do a 4 mile run this morning because we planned to go for a hike a little later. I headed over to neighborhood #2 where I covered about three miles and finished up back in my own neighborhood after completing a total of 4.6. Conditions were near perfect, 44 degrees and dry, and I dressed correctly. 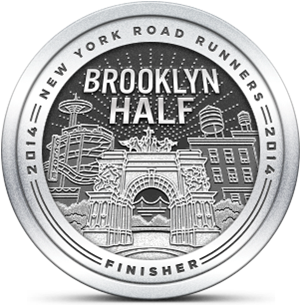 I pushed my pace a little more than I have been doing and was not disappointed to average 9:07 per mile. 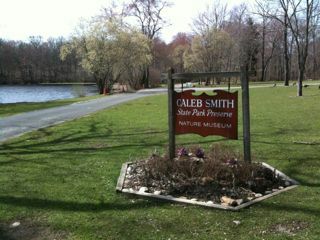 A few hours later we headed to Caleb Smith State Park in Smithtown, a 543 acre preserve with groomed, well marked trails. 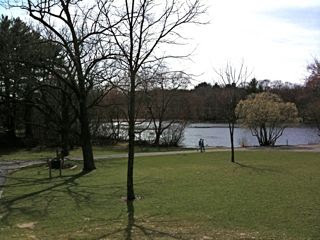 The park is beautiful, featuring ponds and streams, with lots of small side paths that take you over wooden bridges. We saw lots of interesting trees and plants and we even saw a snake. The biggest surprise for me wasn't seeing the snake in the woods, it was the fact that my kids wanted to pose next to it for a picture. There are a number of trails to follow. A circuit that includes the yellow and blue trails is 2.25 miles. I'd like to do a couple of laps around that course sometime. I'm not sure how I'll finish my vacation in terms of running but I think a trail run would be the best choice tomorrow with temperatures in the low 70's expected. I'm not sure if I should head to Stillwell, Muttontown or Bethpage but either way I'd be making a great choice.